"Roadless" in now the registered trade mark of "John Bownes Ltd"
all wishing to use the word Roadless on eg. Badges, T-Shirts, Logo's, Decals etc. must contact us directly. Roadless Traction Ltd was first registered on the 14/03/1919. The company was developed by Lieutenant Col. Philip Johnson born in 1877 he lived till he was 88 years old and was the MD of Roadless for 40 years. He went out to the Boar War (South Africa) working with the steam transport, he was then later offered a job at John Fowlers to sell steam equipment in Indian. He came back to England in 1915 and was then involved in tank development. He was allowed to keep his patent design that he had designed during the war. In the 1920's he came out of the army to concentrate on the Roadless business, first of all making tracks for trucks and then moved on to tracks on agricultural crawlers. 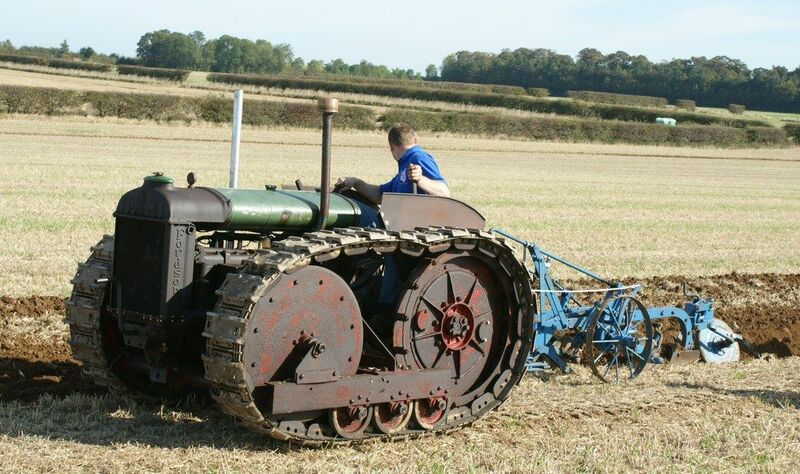 He then went on in the 1930, 40's & mid 50's to design the 1/2 track for most popular makes of tractors. 4WD systems started in the mid 1950's. 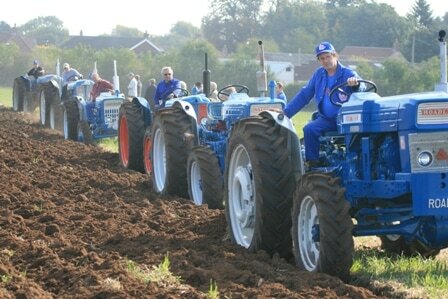 7915 4WD tractors & kits were built up until 1983 when the company ceased trading. The company was then taken over by Jewells of Bridgewater who built a small number of tractors to the Roadless design and re-named them Jewelltrac. This company got in to financial difficulty in the late 1980's and the parts side of the business was taken over by Roger Haynes who had previously been associated with Roadless testing out there new designs. He then sold the business to Dave Pantry in the mid 1990's. 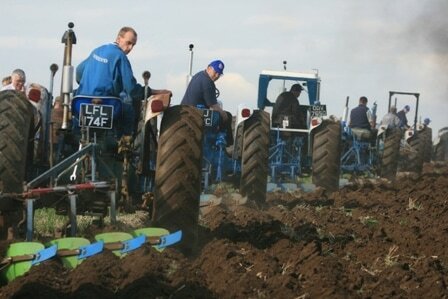 Dave continued selling the parts to tractor collectors throughout the UK. We then took over the business in June 2007. We bought & sold new and s/h Roadless tractors in there working day and were actually the last dealer appointed by Roadless to sell new tractors in 1982. We only sold 2 new tractors before the company was wound up in 1983. We are still in the process of unpacking & cataloguing a very large quantity of parts & drawings. We have over 40,000 original drawings which have been moved in to a purpose built office so they can be stored and stop them from deteriorating further. Amongst the drawings are some very rare and delicate finds. We have the original serial number books enabling us to find when each tractor was originally sold & who to. If you provide us with your serial number we can tell you about your tractor, which will be sent to you on an official ROADLESS letterhead for a small charge. Roadless will be 100 in 2019 and in the same year County will be 90, to mark the occasion there is going to be a working event over the weekend of 21st / 22nd September 2019.